Marketing is an excellent corporate discipline which has been practiced since the dawn of trade. It is essential for the growth of businesses and eventually in making money. But, unlike marketing professionals of other industries, healthcare marketing professionals have an excellent opportunity which extends beyond strategies. Their efforts in marketing may very well change or even save a life, which makes their opportunities come with profound responsibility. Like all other industries, healthcare landscape has focused its shift on consumers and providers and ways to engage with their target audience to remain relevant and successful. Whether it’s a new & improved treatment, a groundbreaking facility or expansion of physician specialties, healthcare organizations are continually pursuing the next technological advancement to provide a higher level of care for their patients. That is what healthcare marketers should keep in their minds as they strive their best in being useful in their profession. While marketing itself is an older profession, healthcare marketing is relatively a new practice. Earlier the whole focus of healthcare marketing was on street sales to reach out to doctors. The primary marketing expenses of corporates who were in the business of selling medical products and services were towards huge sales force hiring, training and deploying them for sales. Fact: It was in 1977 when the American Hospitals Association held its first marketing convention. That was the first registered effort by a healthcare industry association on focusing on promoting various aspects of the industry collaboratively. Healthcare marketing has become a big business ever since- medical institutions which aid patients interact with companies who manufacture medical devices & medicines. Today, healthcare marketing as an industry has evolved notably especially with the arrival of various online platforms and technology. which grabbed the attention of both healthcare marketing professionals & the healthcare industry professionals. It’s common knowledge that every company is different and each faces challenges that are unique to it. The healthcare marketing approach implemented by one may not be practical for another. So, healthcare marketing professionals can approach their hurdles with the degree of analysis suitable for their business. In this way they can develop customized solutions and productive strategies. Healthcare marketing professionals must formulate effective healthcare marketing strategies to increase their medical sales. pain points for developing solutions. In majority cases, these CRM systems can integrate marketing with sales for better management of lead generation and further conversions. The mobile compliancy of sales and marketing applications or platforms, CRM and analytics is still a growing concern for healthcare marketing professionals. Mobile responsive technologies enable your sales executives to enhance the experience of on-site presentations. They can make use of videos for product demos, or initiate video conference with the healthcare professionals. A mobile platform can help in improving the communication between healthcare marketing reps & healthcare buyers. The success of healthcare marketing strategies depends on the ease of using your website over mobile phones. Data-driven decision making is the key to success for any form of marketing today. It’s best to estimate demand, identify potential markets and deliver appropriate messages. All of these is possible with the analytics of sales data than hunting blindly. Healthcare marketers should use of analytics tools like Google Analytics for enhancing marketing and sales strategies. Also, to provide decision makers of the healthcare companies with clear-cut data to improve customer experience and control costs. Quality marketing contact data is also essential to ensure maximum reach & guaranteed deliverability in delivering the messages to prospects & attaining leads that convert. It is essential that you build and work upon your healthcare marketing ideas with well-managed data. Trouble in attaining quality marketing contact data on healthcare professionals? WHAT SHOULD HEALTHCARE MARKETING PROFESSIONALS FOCUS ON? There is no formula for success in healthcare marketing. Each sale requires a long-term commitment towards both the client and product. A successful healthcare product or service sale is one where both clinical and economic information is provided to the stakeholders. 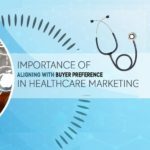 Healthcare marketing professionals should know how healthcare prospects differentiate their services based on their patient. They must also be able to craft appropriate dialogues around robust solutions rather than focusing only on slick product features. Ensure to align your value proposition with target healthcare prospects. It is the best way for grabbing their attention rather than lowering costs. Once your sales executives understand the financial and business impact it’ll be easier to make smart adjustments to your value-selling process. They can explain healthcare buyers on how your medical product/service will economically impact them and solve their internal issues. Whether your healthcare prospects are competing with each other in terms of improved access, better care, lower costs, or a combination of all these elements, they need proof that your medical products can deliver the edge which is required. Analytics is the key to demonstrating value when it comes to providing proof in such complex systems. Healthcare marketers must lay their healthcare marketing strategies with a complete backup of analytics. As significant changes are taking place in the field of healthcare marketing in terms of value selling approach, many organizations are likely to struggle. Healthcare businesses who have long competed on price alone or by selling premium, innovative products will be particularly challenged. But, having a dynamic medical sales management process through practical healthcare marketing tips can meet the challenges of today’s market. Are you ready to take your marketing to the next level? Sign up with DataCaptive for healthcare marketing resources.